It wasn’t that long ago that an athlete had few options to continue training and working on different aspects of his or her sport in the off-season. Young baseball players, for example, who live in the Northeast used to themselves at a distinct disadvantage compared to those in warmer and more temperate climes who could continue training and playing outdoors for a much greater percentage of the calendar year. But the proliferation of all-season, indoor workout facilities over the last decade has mitigated that problem for spring and summer athletes in the inclement winter months. One facility that has spent the last decade offering baseball, softball and golf athletes of all ages the chance to continue working on their game even during the worst of winter weather is East Coast Conditioning of Edison, NJ. Bryan Healy, who had developed and managed Cuts Fitness, a successful fitness franchise, turned his entrepreneurial focus on competitive athletic performance training when he launched East Coast Conditioning in 2007. “The strongest growth area, competitive athletic performance training, is here to stay and will continue to grow as athletes and their teams become more competitive each year,” Healy said. East Coast Conditioning is an 11,000 sq. foot turf facility offering year-round training for baseball, softball, soccer, football, lacrosse and golf, as well as a full-size basketball court. The complex has a large multipurpose turf area for training. Competitive athletic performance training centers have, in the decade since East Coast Conditioning opened, proliferated in far greater numbers in this region of the country. Entrepreneurs looking to launch facilities like this may find the foundation for their financing is on firmer ground by seeking a small business loan to help get the business going. East Coast Conditioning tries to customize its programs so that they are specifically tailored to the individual — or team — that has signed up for training. “(Our) success is driven by the right trainers, the right facilities and the right athletes coming together in a motivating environment where they can learn, challenge themselves and improve their core athletic skills,” Healy said. 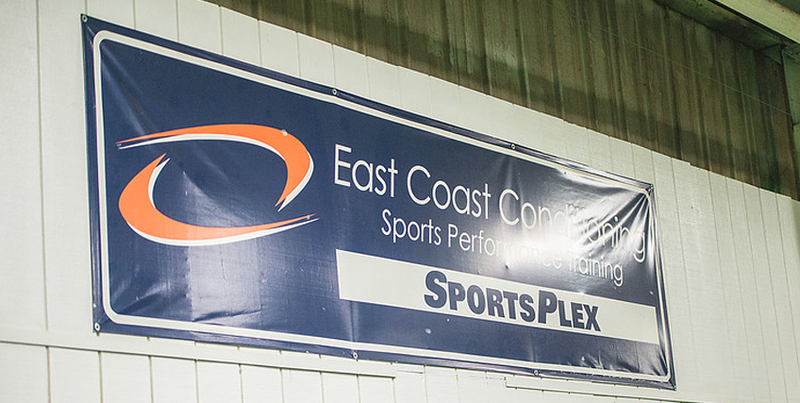 East Coast Conditioning works with individuals and teams from around the region, including college, high school and middle-school aged athletes, as well as clubs and organizations at its year-round indoor facility. In addition, the facility now offers day camps tailored for youngsters who are interested in refining their skills in a specific sport. For example, during local schools’ spring breaks, ECC holds one-week camps for both baseball and basketball at the facility. For athletes who desire more individualized attention, ECC offers private, one-on-one lessons in different sports taught by area coaches and athletes. The facility is also a popular venue for birthday parties and rentals, and teams can book the facility for specific training such as batting practice. ECC’s baseball programs start as early as ages 3 to 5, where the focus is basics of the game and learning some baseball terms and rules. Its youth programs are centered on small group classes that focus on specific skills such as hitting, pitching, defense and catching. These programs keep low enrollment to ensure athletes and young players are receiving proper individual attention. The East Coast Titans are the company’s club travel teams, including four teams in the 13U-14U age group, and two teams in the 16U-18U divisions. ECC’s Titans programs send players to competitive tournaments throughout the state. Have you seen a trend that inspired you to pursue business ownership? 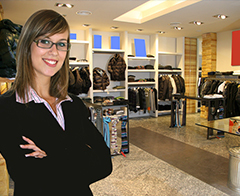 Aspiring entrepreneurs and small business owners looking to grow their companies rely on Biz2Credit for all types of financing options, including commercial real estate loans, equipment loans, SBA loans and business lines of credit. 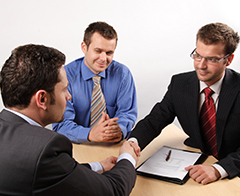 Call (800) 200-5678 or visit www.biz2credit.com.